The amount paid by 57 Stars and Foresight Group has not been disclosed. However the companies described it as a multimillion pound deal. 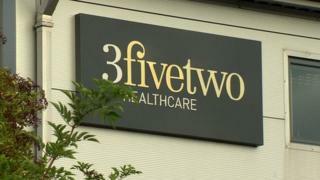 3fivetwo owns private hospitals in south Belfast and Sligo. The investment will allow the group to provide additional capacity at its hospitals and add more specialist services. Suresh Tharma, joint CEO of 3fivetwo said the investors supported the aspiration to create "a world leading healthcare company".